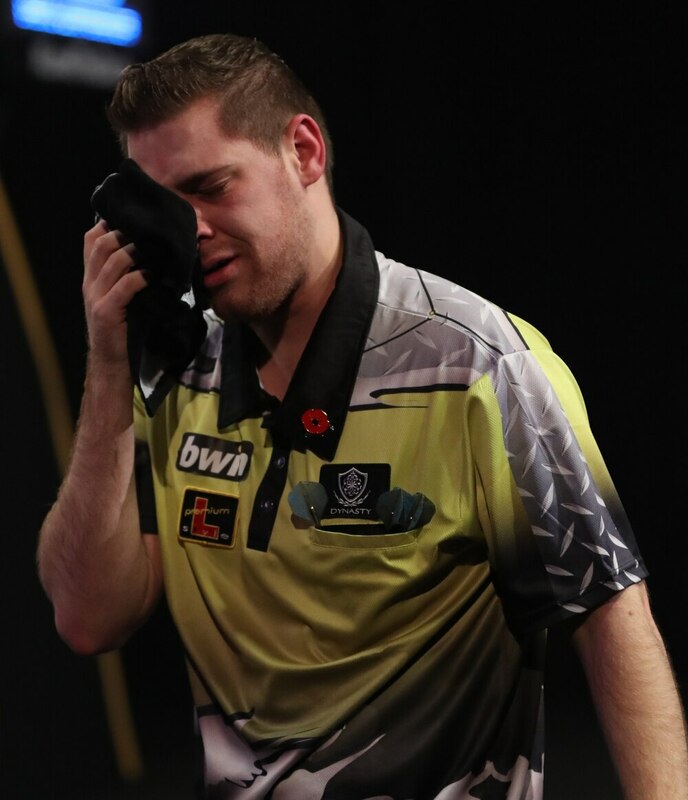 Dutch darts player Berry Van Peer has opened up about his struggles with ‘dartitis’ after breaking down in tears on stage at the Grand Slam of Darts in Wolverhampton. The 21-year-old became visibly upset when the debilitating condition returned during his defeat to Gary Anderson at the weekend. He was jeered by some sections of the crowd until they realised his struggle – and jeers then turned to cheers as they tried to help him through the condition which was once famously suffered by darts great Eric Bristow and makes it difficult to release the dart. Van Peer said after his match: “I’ve been having trouble with it for a couple of months. I thought I was over it last week at the World Youth Championships, but it has come back. “I don’t know what triggered it but it came back. I just had to change my throw. You get used to it. Van Peer had battled against the effects of dartitis to defeat Simon Whitlock 5-4 in his tense first round opener on Saturday. Speaking after that victory, he said: "I've been back to the physiotherapist but on pressure moments it happens. "It's hard to play with and I was trying to compose myself, but I got there in the end."